Sharp practises; Questionable contract terms; Ludicrous charges; Not-customer service….? 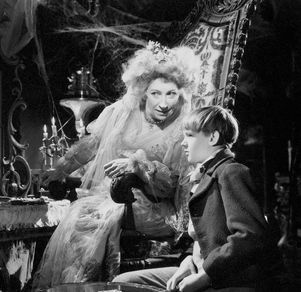 You have had a family contract for 2 years with a mobile phone company; lets call them Haversham. Your contract is coming to an end. You want a different deal; a new phone for yourself but your partner is happy with their phone. You want some new TV features etc etc so make the big move….phone, broadband, the lot. On the mobiles; You decide on a sim-only deal and a new phone/monthly deal with a different company, lets call them Pip. Tell Haversham you are not renewing contract and arrange to end payments at end of contract; only three weeks away after all. “Oh, you will have to pay a contract cancellation fee” ….WHAT? The contract is ending, Im not cancelling. Apparently you are cancelling; because the 24month contract automatically becomes a rolling contract ergo you are cancelling. What rot. If the 24 month contract is ending then the contract has ENDED. But no, Haversham is adamant, so pay the fee. 1. So you need PUK codes to transfer your numbers…. Call them on the last possible day (30 days since first request) and amazing, a PUK code is supplied. 2. Use the partners PUK…oops, no, phone says no; call help centre. So you call Haversham and ask for the unlock key. “That will be £20.40.” WHAT! Because Haversham supplied a phone which was programmed to only work with Haversham’s sim, you have to pay to make it work with anyone else. Hang on, after 2 years I OWN this phone; what right has Haversham to charge me to use it with another supplier? So in summary, the 2yr contract is actually for life unless you pay up. The piece of kit you bought; its theirs to control unless you pay up. Moving your number? No, its theirs unless you pay up. To add insult…there’s a phone here which is useless unless I buy a Pip Sim or pay up to unlock…on a piece of kit I’ve paid for already!! Ok, so taking a new contract has now cost 5 fees with Pip (2 PUKS, 2 contract “closures and 1 unlock), plus the sign on etc. fees with Haversham. All the phone savings from year 1 have disappeared….Well, the broadband was a good deal…they are not going to come up with any silly extra charges now, are they….? Apologise to anyone expecting errudit commentary on digital startegy, seo and other such proffesional reflections. This post is an example of how to ruin a relationship regardless of brilliant/average/rubbish web strategies. Lesson; dont forget how you treat the customer FIRST. This entry was posted in Blog, Consultancy, Uncategorized. Bookmark the permalink.